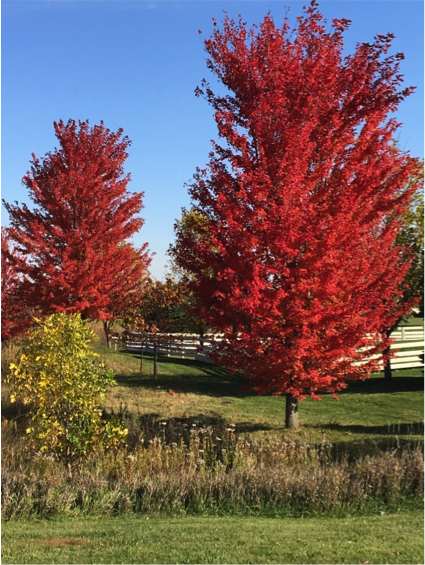 This beautiful fall season brings vivid colors and surprisingly warm inviting temperatures. 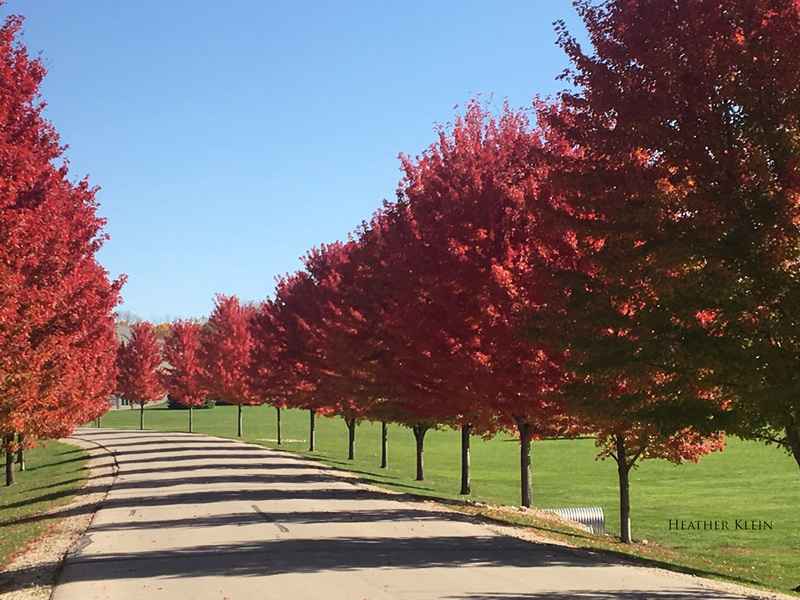 The anticipation of the coming winter and holiday seasons still distant, but one can almost taste the special flavor of pumpkin pie or your favorite Thanksgiving meal. Also, it is an opportunity to sample the offerings of the coming educational calendar. With the change in seasons comes the new educational year. This year, the Education Committee ambitiously developed a series of workshops to encourage our membership to explore a variety of therapeutic styles and techniques. It is an adventure of sorts as one can experience something new, discover the “naturalistic hypnosis” in other treatments, integrate treatments across disciplines and most importantly have fun and meet new people. For example, are the movement patterns of “Interplay” simply movement, a state dependent memory pattern, a form of ideomotor signaling, or a deep expression of individual style, playfulness, growth, or taste? Interesting! Each offering brings something new and different. I encourage everyone to partake and network with the larger healing community in the Twin Cities. This year we will continue to expand our on-line presence encouraging members to check out our Website and Facebook page. Network with members to discuss challenging cases that can benefit from other perspectives. Keep conversations professional and HIPPA compliant. Like any organization, MSCH needs to continuously evaluate, understand, and adjust to the needs of our membership. Hypnosis is incredibly flexible in its many applications and styles to help individuals adapt to chronic illnesses or conditions, promote adaptive growth and positive change or enhancing wellness and healing. It can help anyone live a more vivid vibrant life moving beyond illness and the challenges of the day. To accomplish these goals and promote our organization, we need everyone’s help and commitment. We expand and grow together. Become involved by sharing your ideas, talents, and skills at creating the type of community we all want to join. Let’s work together to become part of something bigger and stronger than ourselves. New Treasurer & New President Elect! As of this fall, MSCH has a new treasurer. Linda Haller has graciously accepted the position, and we are looking forward to her leadership as treasurer. A big thank you to Cheryl Bemel for all her hard work and dedication to MSCH as treasurer. 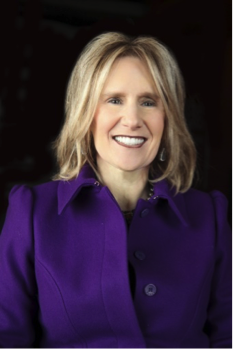 We are excited to announce that Cheryl has accepted the position of President Elect. 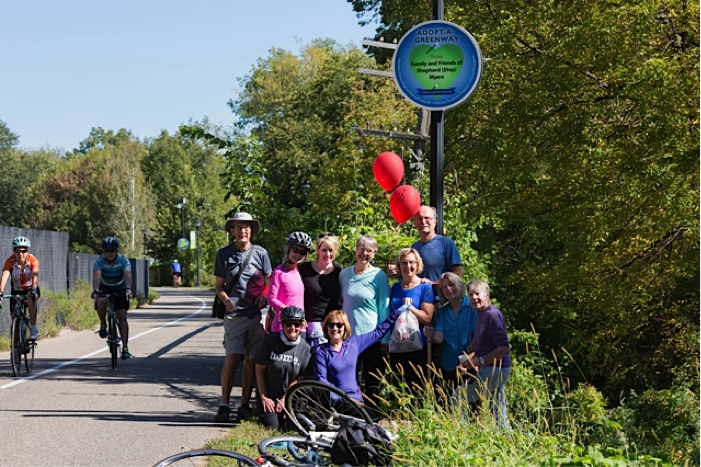 MSCH members enjoyed volunteering their time by lending hands to clean up the Midtown Greenway bike trail on May 21st, 2017. The event was particularly heart-warming because volunteers gathered at the trail marker that memorializes MSCH Past-President Shep Myers. 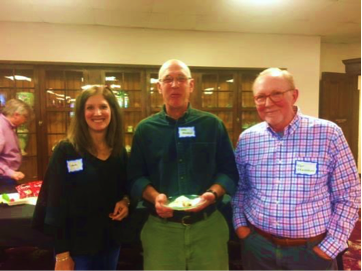 This bi-annual clean up event honors the lengthy service hours Dr. Myers gave to MSCH, and allows MSCH members to gather in Shep’s honor while providing service hours to the greater community. 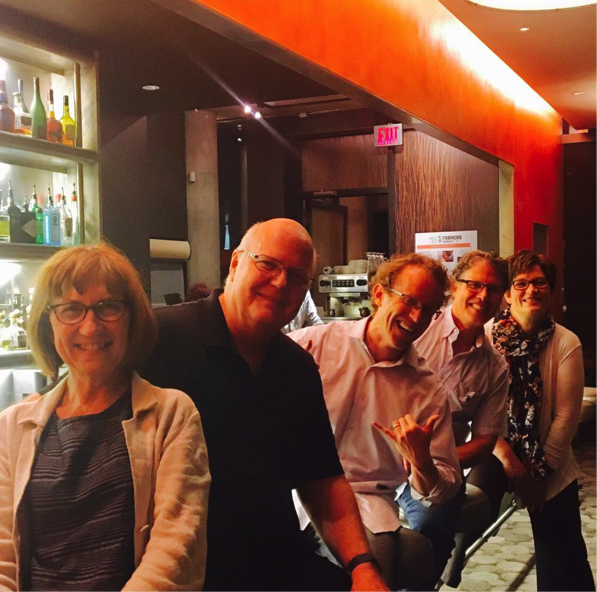 The 46th Annual Hypnosis Workshop was another information-packed fantastic learning opportunity, as well as a great opportunity to catch up with old friends and make new ones. Eric Spiegel graciously shared his wealth of knowledge on Healing the Wounds of Development: Attachment Theory & Hypnosis, An Integrated Approach to Psychotherapeutic Treatment. Dr. Spiegel’s presentation started with the research done by Bowlby and Ainsworth, which we all know from beginning psychology regarding the formation and disruptions to attachment. Integrating that research into the development of mental health disorders later in life due to trauma and developmental pathogenesis provided a good basis for understanding how hypnotherapy can be used successfully to repair later in life mental health presentations. Differentiating attachment disorders into the preoccupied, dismissing/avoidant and fearful avoidant/disorganized, Dr. Spiegel reviewed each attachment disorder, providing excellent case examples of each type and practical examples of how therapeutic hypnosis could be used to assist patients with managing and overcoming their distress. Of particular interest to myself and several individuals with whom I spoke was the thorough discussion of the narcissistic personality dimension. The influence of narcissistic dimension was, for at least some of us, a consideration in the therapy setting that had not been previously completely understood and considered in treatment planning. Understanding mentalization and the function in hypnotherapy opened up greater possibilities for the application to multiple mental health concerns. Since anxiety is a frequent complaint for many client presentations, gaining a better way to treat the underlying causes of anxiety will, hopefully, provide greater efficacy in improving quality of life for a significant number of patients. While CBT certainly is well-established as an effective treatment for anxiety disorders, many patients, in my experience, are experts at spouting CBT skills, but without the relief they and their therapists have been seeking. Dr. Spiegel’s application of hypnotherapy to this common disorder will likely produce greater relief for our patients. Overall, the conference was, in my opinion, another overwhelming success! 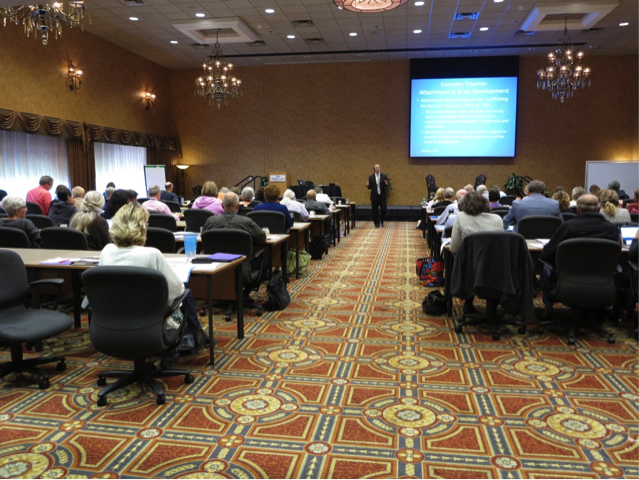 It is exciting to see the continued growth of this practice and of attendance at the conference. I can hardly wait to see what next year’s organizers have in store for us! Fellow MSCHers having a great time together! 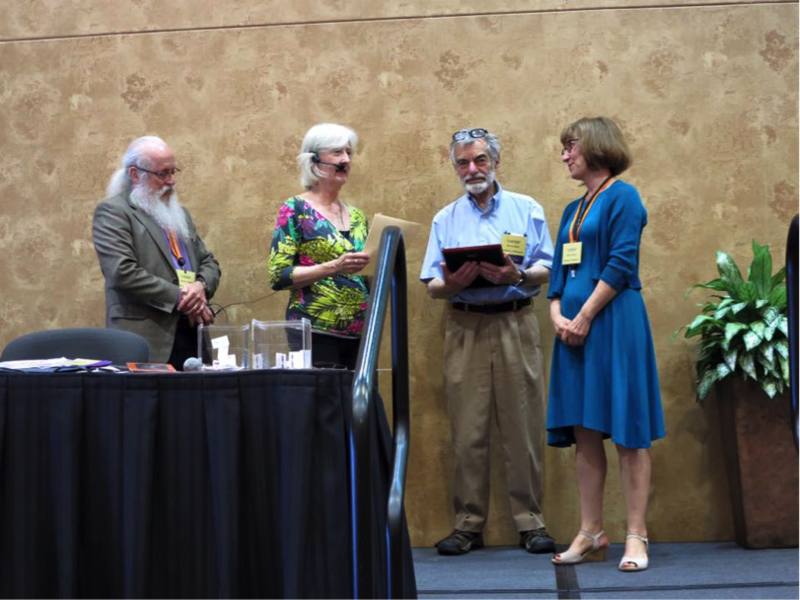 The Kohen award recognizes outstanding leadership in the clinical practice, teaching, and utilization of therapeutic hypnosis. This year’s recipient is Richard Duus. 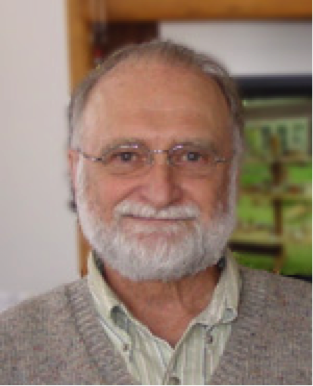 He was unable to attend this year’s workshop, so he will be honored at the 2018 spring workshop. Congratulations Richard! 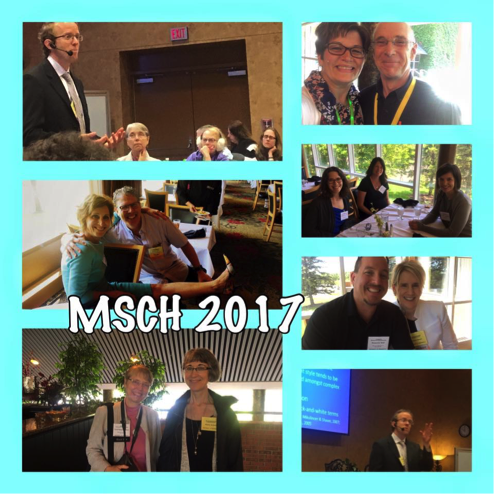 Four MSCH members recently returned from presenting as part of the faculty at the September 2017 Schaumburg Regional ASCH workshop, delivering an influential presence to attendees over four days of learning. 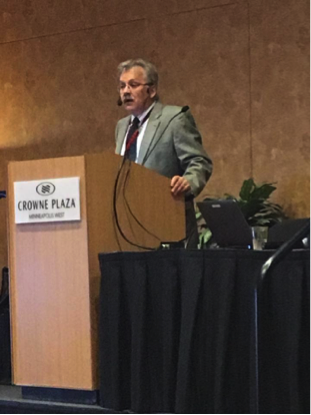 Dr. Al Clavel (current MSCH President) and Dr. Mark Weisberg (MSCH Past- President) delivered the Advanced Workshop in Schaumburg. 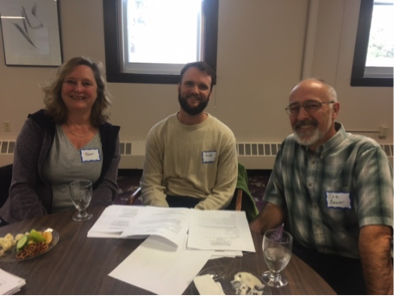 In their 20 hour workshop, they explained the role that hypnosis can play in facilitating an ideal healing state to effectively treat low back pain, help wean patients off opiate medications, and reduce central sensitization. This included a mixture of didactic and experiential approaches presented to attendees for future use on a regular basis in their own clinical practices. 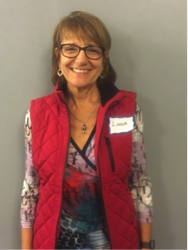 Delle Jacobs, MSW, LICSW, LMFT (MSCH Past-President) chaired the ASCH Regional workshop and was a key presenter during Schaumburg’s Intermediate Workshop: Refining Skills and Treatment Applications. Delle also taught clinicians in the Individual Consultation workshop, during which clinicians attend in order to earn 20 hours towards either ASCH Certification or the ASCH Approved Consultant (AC) designation. 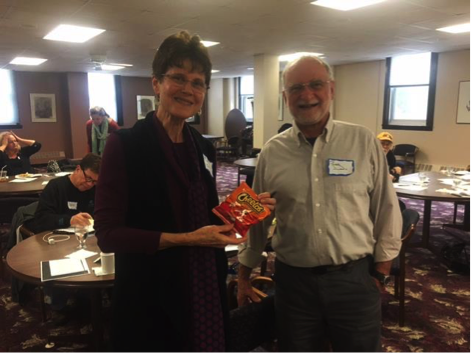 Dr. Cheryl Bemel (MSCH President-Elect) delivered both didactic and small group presentations at the Fundamentals of Hypnosis workshop. 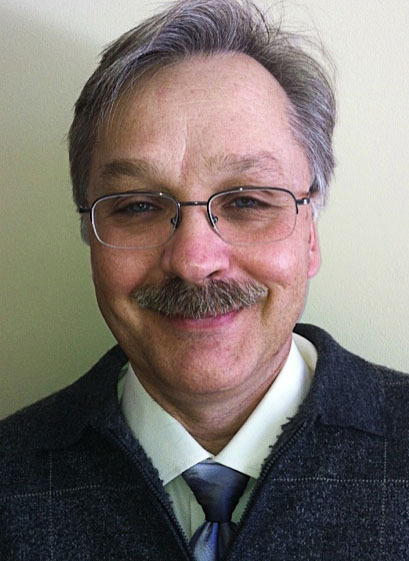 Dr. Bemel also served on faculty for the Intermediate Workshop and the Individual Consultation workshop. MSCH is very pleased to provide a strong presence at the national level. 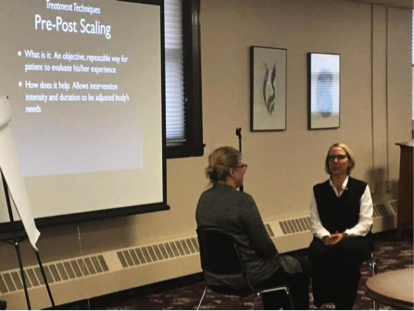 After completing the introductory section of the U of M’s 46th Annual Workshops in Clinical Hypnosis this past June, I have been incorporating hypnotic approaches into my psychotherapy practice with great excitement! 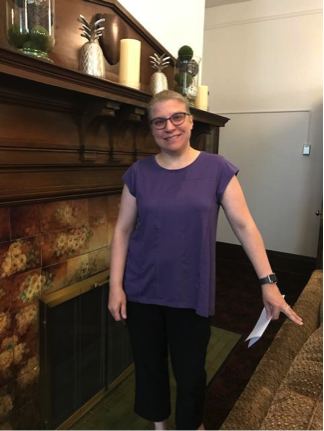 Although I had been using a mindfulness-based, somatic approach called Hakomi for several years, after the workshop and several consultation sessions with Dr. Suzanne Candell, I had an insight. I had already been using hypnosis without even realizing it! As a result, I have been eager to attend more workshops and trainings to build on this body of knowledge. I arrived early for the InterPlay workshop put on by MSCH in September. The presenter, CathyAnn Beaty, walked into the room, noticed the chairs set up in a lecture format and the screen at the front for a presentation and chuckled. She looked over at me and asked if I could help her move all of that out of the way. Together, we moved the screen off to the corner of the room and moved all the chairs to the edges of the space. As everyone took their seats around the circle and CathyAnn told us about her journey to InterPlay and described the powerful effects she has seen. InterPlay is an active, creative approach to access the wisdom of the unconscious. We started with a simple deep breath and an audible outbreath. Then again but louder. Then we shook our body to release tension. CathyAnn led us through very simple exercises of hearing a word and speaking to our partner about our uncensored reactions. Our willingness to do this – either speak about our first impressions of the word or listen to our partners thoughts – led to an unexpectedly deep connection. Next, we stood in front of another partner and one person moved their body and the other followed. That’s it. Couldn’t have been a more basic exercise. Yet, the connection with others, the connection with ourselves, and sense of relationship was profound. She added a few more variations to the theme, but the basic, simple premise remained. Being free to play and move spontaneously in the presence of others offers access to insight and understanding of our deepest selves. Within just a couple of hours of practicing these forms, as they are called, I felt an old painful truth arise in me. I am too much. I have to tone it down and be less. I overwhelm. What I found near miraculous was not that my old “stuff” came up without much complication or time, but that I had a new perspective on the wound. It’s ok. I may be a bit too much for some at times. But this fact does not mean that I should make myself less. This truth does not make me broken. As a constant searcher for new and more information about therapy approaches, myself and the world, it was a beautiful realization that breath and movement and play can be as valuable, and sometimes more fruitful, than hours or weeks of hard work. Not all healing insight has to be hard, complicated or take a long time! The fact that traumatization is common is not news to anyone working in our ﬁeld. Research over the last 20 years on the health consequences of adverse childhood experiences is making it abundantly clear that it’s highly likely that many, if not most of those we work with who are dealing with trauma, will at some point also be dealing with a serious or life threatening illness. The physical, emotional and ﬁnancial stress of a serious illness along with the medical interventions performed to treat it can also be quite traumatic. Thus a certain kind of “synergy” ensues: the person’s already stress-compromised nervous system is repeatedly subjected to additional distress, and becomes even less regulated, more reactive; the emotional and physical consequences keep compounding, making the individual even more vulnerable to dysreguation and to have increasingly more diﬃculty regaining equilibrium and ﬁnding the resources needed for healing and recovery. A downward spiral indeed. As a clinician, I’ve found that forging a healing path with such individuals can be challenging to say the least, often daunting, the complexity overwhelming. Suzanne Candell’s presentation of how we might best work with these individuals, built upon a solid understanding of trauma, the eﬀects of autonomic dysregulation and maladaptive attachment patterns, was like having a beam of bright light cut through the dense fog and illuminate a path that, while not an easy one, is clear, simple and provides solid footing for both the clinician and client/patient. Principle 1: As clinicians, never underestimate the power of our caring, interested, attuned presence. Since the most damaging traumas occur in important relationships, it only makes sense that they need to be healed in an interpersonal context. Careful pacing, holding the clients history in mind, being aware of their moment-to-moment experience, expressing authentic warmth, normalizing rather than pathologizing the eﬀects of trauma and their eﬀorts to cope, all provide the client with an “adaptive attachment” ﬁgure, and serve to develop the experience of being both vulnerable with another human being and safe at the same time. Modulation – experimenting with what’s needed for progressive increases in comfort. Repetition, both inside and outside of the therapy session, is necessary if states (such as moments of increased awareness or tolerance) are to become traits/capacities. Somatic Experiencing of a previously shut down self-protective gesture/action. Hypnosis to improve comfort with medical procedures and to help prepare people for surgery were also highlighted. Principle 5: Address Sleep Issues! Since trauma often creates sleep ambivalence in trauma survivors, and yet good quality sleep is so crucial for mind-body healing, pain management and overall well-being, it is crucial that sleep issues are addressed. Grounding, going to neutral, and toggling strategies, cultivated hypnotically, can be very useful to promote better sleep. Identify the goal: what are you moving towards? Generate alleviations for each impediment; these are the basis for the hypnotic suggestions and are guided by language regarding action and orientation to the impediment or the goal. and as the window of tolerance grows, heighten and amplify those positive states, experiences and capacities (including playfulness) that emerge. Many thanks Suzanne, for your solidly researched, carefully crafted and masterfully presented workshop! Say “Cheetos”! Rich & Mary enjoying their day! Randi & Joe welcoming one of our newest members, Scott! 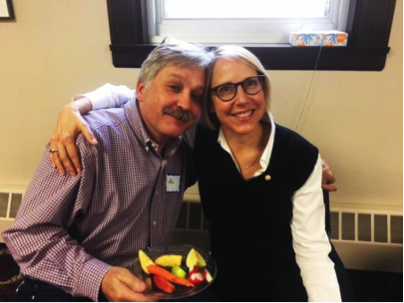 Al Clavel (our president) & Suzanne are all smiles! We could start this invitation off by extolling the virtues of Orlando, Florida in March. But we’re not going to do that – want to know why? The programming for the 2018 ASCH Annual Meeting is so darn good, you’re not going to want to sneak away to go to Disney World. Original and pertinent meeting theme. 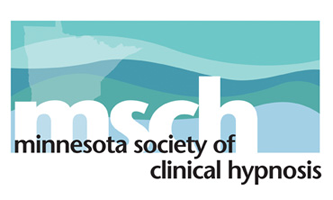 This year, the theme for the meeting is “Hypnosis & The Treatment Relationship: Applications, Processes, and Outcomes.” This is the first time in ASCH’s history that its annual meeting theme has directly dealt with hypnotic relationship and on relational considerations of treatment. We are going to have top-level programming on these aspects from experts both in and outside of clinical hypnosis. As always, we’ll have diverse offerings on clinical hypnosis that extend beyond our theme – but this meeting is unique for the depth of training in this area. World class plenary speakers. What do Maggie Phillips, PhD; Christine Courtois, PhD; Jeremy Safran, PhD; Michael Diamond, PhD and Dan Handel, MD all have in common? Why they will be giving plenary addresses at ASCH 2018 of course! Maggie Phillips, PhD returns to ASCH after almost a decade to open our meeting. She will be opening with an address entitled “Relational Safety as the Treatment for Trauma and Pain: Polyvagal Contributions to the Countertransference Trance.“ Maggie will be weaving together subjects like attachment, hypnosis, neuroscience, countertransference, and trauma into what promises to be a mind-blowing start to our conference. Two renowned psychologists from outside of the hypnosis fold join ASCH to present plenaries that are pertinent to hypnosis and the treatment relationship. Christine Courtois, PhD, an international authority on relational treatment of complex trauma, will offer Friday’s plenary, entitled “PTSD Treatment Guidelines and Clinical Care: The Significance of Relationship“, on her experiences creating empirically-supported trauma treatment guidelines as the Chair of the APA PTSD Guidelines Development Panel. Dr. Courtois has written over 10 books on relational treatment of trauma that have been published worldwide. 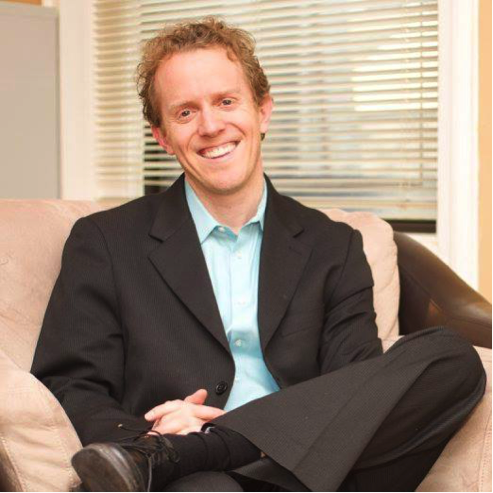 Jeremy Safran, PhD, a leading expert in relational psychoanalysis, will give a plenary on Saturday morning entitled “The Intersection of Hypnosis and Relational Psychoanalysis“, in which he will bridge the literatures in relational psychoanalysis and hypnosis. Dr. Safran is unique for his expertise not just in relational psychoanalysis, but also for his contributions working with Beck on CBT, and in helping to develop Emotion-Focused Therapy with Les Greenberg and Sue Johnson. 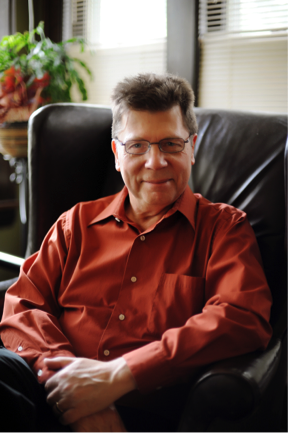 Michael Diamond, PhD, author of the seminal paper on the hypnotic relationship “It Takes Two to Tango” returns to his hypnosis roots after two decades as a faculty member at the Los Angeles Society for Psychoanalytic Studies, the Wright Institute, and UCLA. 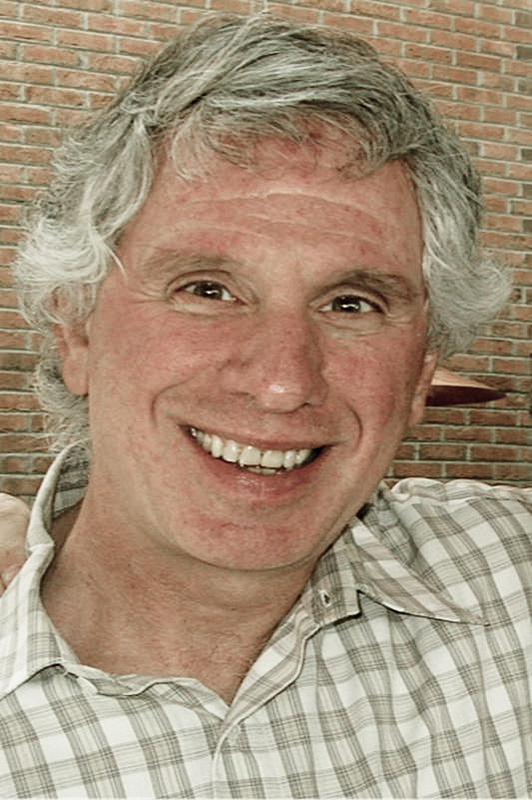 Dr. Diamond, author of the book “My Father Before Me: How Fathers and Sons Influence Each Other Throughout Their Lives“, will present a plenary on Saturday evening entitled “Dreamers, Schemers, Moonbeamers, and Redeemers: Psychoanalytic Musings on the Benevolent Allure and Therapeutic Action in Hypnotically-augmented Psychotherapy“. 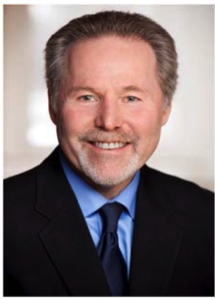 Finally, Dan Handel, MD will discuss the role of hypnosis in managing the palliative medical relationship and end-of-life existential issues. He will present a plenary entitled “The Healing Impact of Relationship in Palliative Care: In Trance, Out of Trance, Upon Trance “. 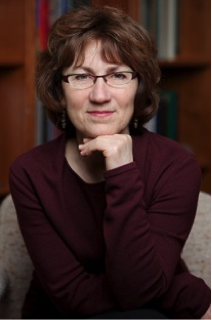 Dr. Handel is the Chief of Palliative Medicine at Denver Health and former Education Committee Co-Chair for ASCH. “Lunch with the Masters”: Moderated Discussion Panels on Hypnosis & The Treatment Relationship. As a bonus to the usual basic, intermediate, and advanced workshops, we will offer two lunchtime panels (for CE credit) to all meeting participants geared towards health care and mental health audiences. On Friday, Ran Anbar, MD and I will moderate a panel on “Hypnosis and the Health Care Relationship” with Cheryl Beighle, MD; Al Clavel, Jr., MD; Dan Handel, MD and Laurence Sugarman, MD, ABMH. Saturday, I will moderate a panel on “Hypnosis and the Psychotherapy Relationship” with Elgan Baker, PhD, ABPH; Carolyn Daitch, PhD; Michael Diamond, PhD and Maggie Phillips, PhD. These panels are meant to informal, interactive, and relatable. Experts will share their philosophies, experiences, and anecdotes about how hypnosis intersects with the treatment relationship. Interested in the meeting theme? Some of the half to full day headlining workshops on this subject include those by David Alter, PhD, ABPH (“The Body’s Mind: The Role of Relationship in Integrating Body and Mind in People with Psychophysiological Disorders”), Elgan Baker, PhD, ABPH and Eric Spiegel, PhD (“Hypnotic Strategies to Manage the Treatment Relationship”), Christine Courtois, PhD (“Relational Healing of Relational Injury in the Treatment of Trauma”), Carolyn Daitch, PhD (“Integrating Hypnosis in a Relational Context”), Carol Ginandes, PhD (“Staying the Course in Treatment: The Evolution of the Provider-Patient Relationship”), and Jeremy Safran, PhD (“Resolving Therapeutic Impasses”). Neuroscience expert and author of the book “Staying Sharp” David Alter, PhD, ABPH will present on hypnosis and memory (“Memory Shifts: The Lynch Pin to Symptom Change & Positive Client Growth”). 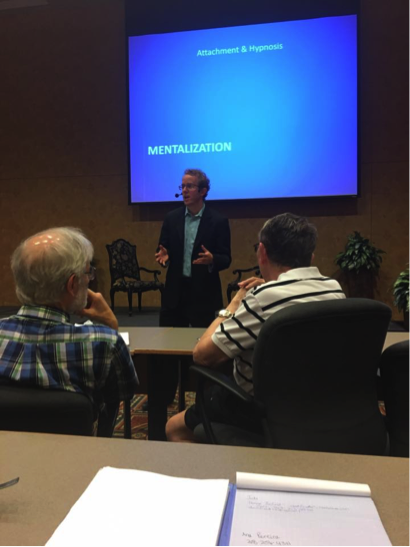 Dr. Alter will later team up with Laurence Sugarman, MD, ABMH and David Reid, PsyD (“Clinical Hypnosis is Changing our Minds”). 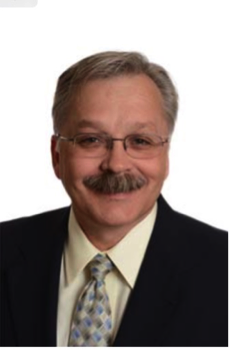 Scholar and expert on dissociation Rick Kluft, MD, PhD will present a full day workshop on the use of hypnosis in the treatment of pathological dissociation (“Hypnosis in the Treatment of Pathological Dissociation and the Dissociative Disorders”). Olaf Palsson, PsyD presents an update on the use of the North Carolina protocol in treating Irritable Bowel Syndrome (IBS) with hypnosis. Integrative medicine workshops on the use of hypnosis in treating cancer, fibromyalgia, psychosomatic illness, and skin disorders. Intermediate workshops from advanced experts on applications of hypnosis. What makes this year’s intermediate workshop completely unique is the breadth of expert faculty that we are bringing in to teach applied workshops on a variety of treatment areas. For example, when else will an intermediate workshop participant get to take a workshop on hypnosis and pain management with Dave Patterson, PhD? If you have finished the Basic, this is the time to complete Intermediate. Even if you have completed an Intermediate workshop in the past, you may want to take it again this time around because of the faculty involved this year. Learn hypnosis for the first time with personalized attention at our Basic workshop. This year’s Basic will feature a tight-knit and small experienced team of faculty ready to teach clinical hypnosis to the next generation of health and mental health care practitioners. We’re excited about our team of faculty who are experienced and enthusiastic. And on top of it all, with all of the extra programming at this year’s meeting, practitioners learning hypnosis for the first time will leave with a leg up on the usual basic training. Research Track on hypnosis assessment and publication in clinical practice, and a first annual student poster session. We felt strongly this year that we wanted to give the research identity of our society the full attention that it deserves. 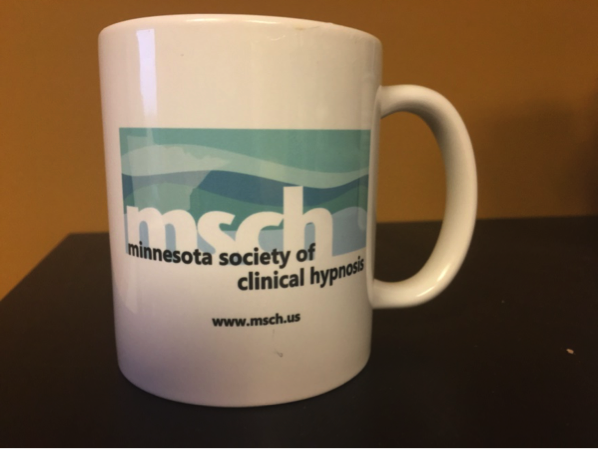 In response to membership-wide feedback, our track this year focuses on training practitioners in conducting hypnosis assessment in their clinical practices. We will also have a workshop on how to turn your clinical research into a publishable piece of work. Faculty include John Alexander, PhD; Gary Elkins, PhD, ABPH; Steve Lankton, MSW, DAHB; Dave Patterson, PhD and David Reid, PsyD. We are also excited to feature the first annual poster session for students, which will be open to all meeting participants to attend. Put the word out to students – we want your research! Become a master in hypnosis teaching and consultation with our Teaching & Consultation Workshop. Holly Forrester-Miller, PhD and Ran Anbar, MD will provide in-depth training to participants on hypnosis teaching and consultation. This workshop is a must for those interested in excelling as an ASCH Approved Consultant. Are you a health or mental health care practitioner with no previous experience in hypnosis? Interested in learning about how hypnotic principles can enhance your communication with patients? Then the ‘Power of Words: Effective Clinical Communication’ Workshop is for you! Linda Thomson, MSN, APRN, ABMH, ABNH and Deb Nesbitt. MSN, APRN, PMHNP-BC, ABMH, ABNH will co-lead this one day workshop that is a great way to begin to learn how hypnosis is embedded in every day patient communication. At the end of this workshop, you will have a greater appreciation of the power of communication, and also will have taken the first step towards an education in clinical hypnosis. Are you a psychologist, counselor, or therapist with no background in hypnosis but interested in receiving advanced relational therapy training in conjunction with our meeting theme? Take our one day ‘Advanced Relational Therapy Sampler’ training package. This is a rare opportunity to get advanced training with some of the leaders in relational therapy, and also get your feet wet in clinical hypnosis. By the end of the day, you will have experiential knowledge of how relational therapy and hypnosis go hand in hand. Included in this package are advanced workshops on relational therapy by plenary speakers Christine Courtois, PhD and Jeremy Safran, PhD. Also included is the Saturday morning plenary by Dr. Safran, the lunch panel on “Hypnosis and the Psychotherapy Relationship” with Drs. 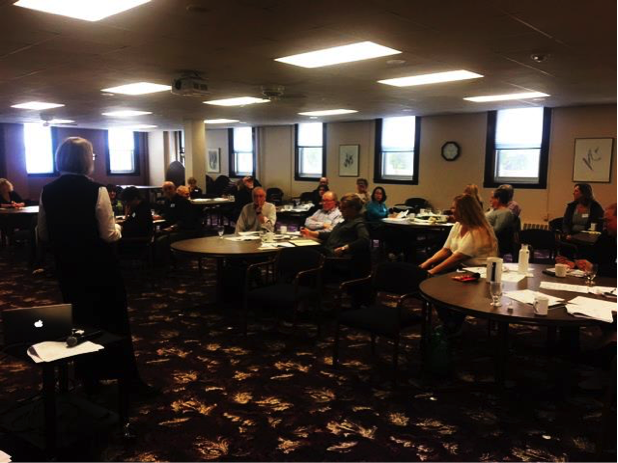 Baker, Daitch, Diamond, and Phillips, and an introduction to hypnosis workshop with our faculty. And last, but certainly not least, this year ASCH will offer its first ever Pre-Conference Workshop! Show up early and take a 4-hour workshop on attachment, hypnosis, and Ego State Therapy given by Maggie Phillips, PhD. The workshop is titled “It Takes More than Two to Tango: Building Secure Attachment Through Hypnotic and Ego State Relationships”. Early Bird registrants for our Annual Meeting will have first opportunity to sign up for this incredible Pre-Conference workshop! We appreciate your time and commitment to continuing education. We are confident that after exploring our programming lineup you will want to join us for what promises to be one of the best ever ASCH annual meetings. See you in Orlando! October 3, 2017 Drs. Alfred Clavel and Mark Weisberg participated in an ASCH webinar bringing to bear the power of hypnosis to help with the opiate crisis. This webinar is available on the ASCH website with free CME for ASCH members or at a small cost for non-members. Linkage from our MSCH website will be up soon. The program addressed multiple different elements in the management of chronic pain and opiate use particularly during opiate reduction. Areas covered included management of autonomic dysregulation, hypersensitivity, and the loss of a sense of well-being. Particular emphasis on the emergence of masked affect was covered with the hope of preparing patients for this experience and creating a successful outcome. The next few years are going to be particularly challenging. As recent trend would indicate, simple opiate medication taper often leads patients down the path to heroin with disastrous consequences. The webinar outline one approach to help improve outcomes focusing on an individualized patient centered approach utilizing what the patient brings to the experience. I encourage every to review the webinar and help with the opiate crisis. This section of the newsletter allows members to submit hypnotic moments that were therapeutic, helpful, and meaningful personally and professionally. Please consider submitting your moments for the Spring 2018 Images. Chosen write-ups will receive a MSCH mug. Please email Heather Klein at: (drheatherklein@hotmail.com) to submit a write-up for consideration. Hypnosis remains a small part of my practice, the majority of my practice being with couples and otherwise pretty much a traditional psychodynamic approach with CBT frosting and mindfulness sprinkles. When I first employed hypnosis, even as a beginner, I saw indications of great effectiveness and even greater potential. One client I had seen for years was fairly chronically depressed. We had a good alliance and I was pleased when she expressed a willingness to experiment with hypnosis. I’d lifted some suggestions and images from the Big Red Book (Hammond’s Handbook of Hypnotic Suggestions and Metaphors). The idea was to have the client search her mind for a very happy and positive memory, and then metaphorically transfer that past feeling into the present. The client was responsive and appeared deeply relaxed when I said, “Search your mind for a happy memory from childhood and nod your head when you have selected one.” And the moment I said it I thought to myself, “Mark, you idiot! She has no happy memories from childhood. You know that she was abused by her alcoholic father and brothers, that childhood was a torture, that her mother died tragically young—what could she possible come up with?” I waited for the nod. Thirty seconds, sixty seconds, ninety seconds…. Now I was getting nervous and formulated a back-up plan where I would say, “Or sometimes, you can create a happy memory and picture something that you wanted to happen and feel that”—and then the nod. We went ahead with the suggestion of taking the feeling of that memory and bringing it back into the present, into my office, into her day right now. I couldn’t wait to re-alert her and ask what the memory was. She said that she suddenly remembered being a young girl, helping her mother make Christmas decorations which was her absolutely favorite thing to do at Christmastime. She added, “I haven’t thought of that in thirty years.” I believe that to be the power of deep relaxation, paving the way for a number of things to emerge. Another client had chronic back pain, anxiety, and had made continual attempts to quit smoking. She was very interested in hypnosis and a good subject too, relaxing swiftly and deeply. She looked absolutely asleep and didn’t sit like most people—she was sprawled on the office couch very much like I imagine she would at home, arms spread out, head tilted severely to one side. I am pretty sure she was snoring. It felt more like I knocked her out than relaxed her. I frankly wondered if she was still hearing me, if my voice went with her. I utilized a very common image following a deepener of entering a wonderful, warm paneled room and sitting in a very special chair that perfectly conformed to her body I had her picture the little device on the table in front of her, noting that she could turn it up or down, to increase or decrease her pain. We practiced having her very slightly increasing the sensation of pain, and then very much reducing the perceived level of pain, added to this the suggestion that she could do that at any time in the privacy of her own mind. When I said, “And now imagine yourself getting off the magic chair and walking toward the door…” she stood in one fluid motion, eyes still closed, and started walking toward my office door. I leapt to my feet and gently guided her back to her chair saying, “Or you can imagine returning to your magic chair, and sitting deeply relaxed.” Thankfully she did. I repeated the step, this time being much more specific about which was real and which was imaginary. One last note: she really looked so deeply asleep that I figured she would not hear me as I counted one to five and “at the count of five you will open your eyes, be fully present back in the room, feeling refreshed, like you just had a nice nap.” I spoke in the same soft voice, making no attempt to speak loudly to overpower her snoring and breathing sounds. Sure enough, at 4 she straightened up in the chair, and at 5 she opened her eyes fully alert and ready to get going. Small things: a memory not encountered for 30 years, a woman in chronic pain moving smoothly to a standing position from a full sprawl, hearing my voice despite appearing fully unconscious. Small examples with major effects. Who knows how far I can take this? The Experience is a new section of Images. The Spring 2017 edition of Images featured the beautiful mixed media artwork (i.e., ink, watercolor, pastel, hand painted paste papers) of Carol Rogers-Tanner’s. This edition featured my work with vision boards as a way to demonstrate that artistic experiences can vary greatly. It is our hope in MSCH to build a stronger sense community and increase members’ involvement through shared experience. Please consider sharing your artistic work (e.g., visual art, pottery/sculpting, dance (we could include a video), poems, short stories, knitting, sewing, wood-work, etc.) for the upcoming issues of Images. Allow those experiences to connect you with other MSCH members as well as them to you. Thank you for considering. Please email Heather Klein (drheatherklein@hotmail.com) for more details. Chosen submissions will receive a MSCH mug. There are suggestions everywhere in our environments and in our relationships with others. Examples of suggestions may include: billboards; commercials; a statement made by a stranger, teacher, loved one; paint color; a side effect checklist; social media and the internet; and vision boards. We then confirm these suggestions in our everyday life if we see them as fitting our beliefs, values, fears, and concerns about ourselves, others, and the world around us. We do not need to be in “trance” for suggestions to be noticed by our conscious and subconscious minds. It is the hope of hypnosis that suggestions made in a relaxed and/or trance state will then be confirmed and activated through cues/suggestions during pleasant, neutral, stressful, and/or uncomfortable times experienced outside of the hypnotic state. Hypnosis can bring these inner resources to the surface and allow people to manage their discomfort and distress in ways that allow them to feel capable, competent, and/or neutral, as well as heighten or deepen awareness of the experiences that are pleasant. Hypnosis’ goal is not to rid people of pain and discomfort or to have them in a constant state of euphoria. Through hypnosis, we can hopefully foster the development and nurturance of skills all humans have accessible to them. These skills in turn can enhance life, reduce suffering, allow for clarity and energy to achieve goals, and much more. Each January, I create a vision board for the upcoming year. 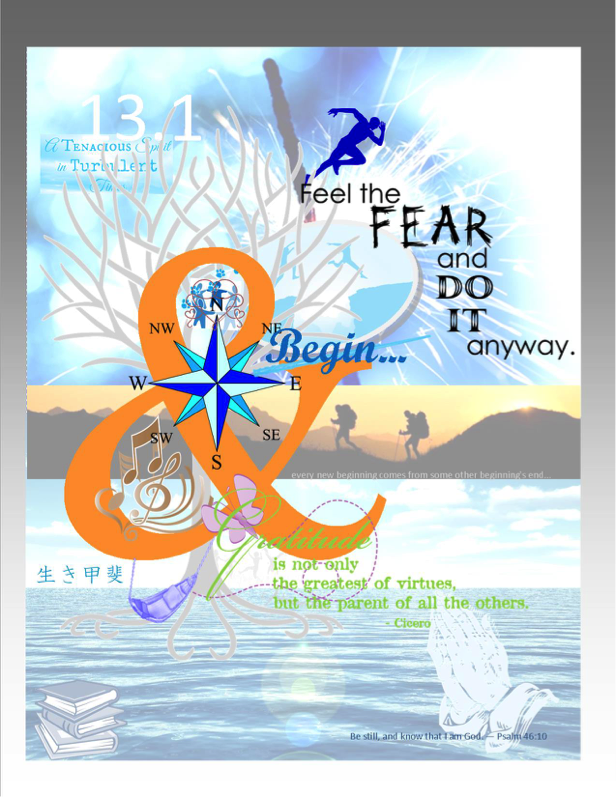 I layer a variety of electronic images and phrases to make my vision board. Vision boards can also be made by hand by cutting a variety of images from newspapers, magazines, photographs, books, etc. and pasting them on a larger sheet of paper or poster board. I sometimes use vision boards with the clients I see, before and after hypnotic experiences to provide pre-hypnotic suggestions as well as to ground the experience post-hypnotically. The vision board offers up a visual cue that invites a person to re-experience the suggestions and experiences that were helpful during hypnosis. Values, beliefs, skills, hopes, intentions, dreams, goals, resources, and possibilities are reinforced through the vision board. The experience of creating and revisiting the board is dynamic and fluid with possibilities for edits over time. The board is a visual narrative. Edits (i.e., changes- additions, deletions, rearrangement of images, changing size or color) can be made as meaning is made. For example, in the vision board featured, the addition of the hammock swinging from the ampersand into the water was added to my board after my hypnotic experience with Gary Elkins for hot flashes. The hammock was the image and experience that came to mind during trance as my “real life” experience of coolness. The image and experience was so powerful that my hot flashes have all but disappeared since that training. The power of the image and experience was added to increase the suggestion of coolness as well as represent the wonder and excitement I have about hypnosis. I have the year’s vision board as a background on my computer and Facebook page as well as framed on my desk at work, which is in my line of vision for most of the day. The suggestions of the vision board are easily accessible, and I trust that a part of me is picking them up as I need them. I see the creation and editing of vision boards as artistic experiences. 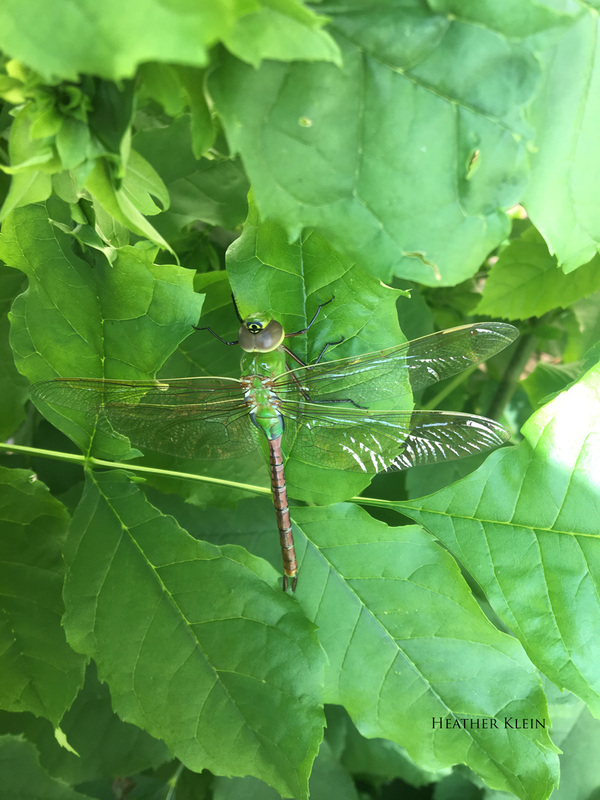 They provide an anchoring of hypnotic experiences and what we deem important in our lives as well as allow for us to create deeper meaning and connection to them.